the act or process of returning something to it´s original condition br repairing it or cleaning to bring back something that existed before. 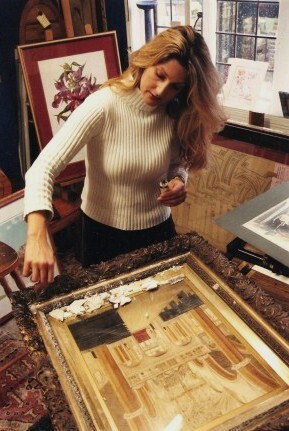 Amanda has been a professional artist for 25 years and has considerable experience in the arts and restoration processes. She has had the pleasure of working alongside architectural conservators on many churches and cathedrals, from 11th century to the present day, helping keep the old, new. Moreso these days she advises people who have bought items in carboot sales and from online auctions how to restore them to be sold or to fit into your own environment, finished in a different way. 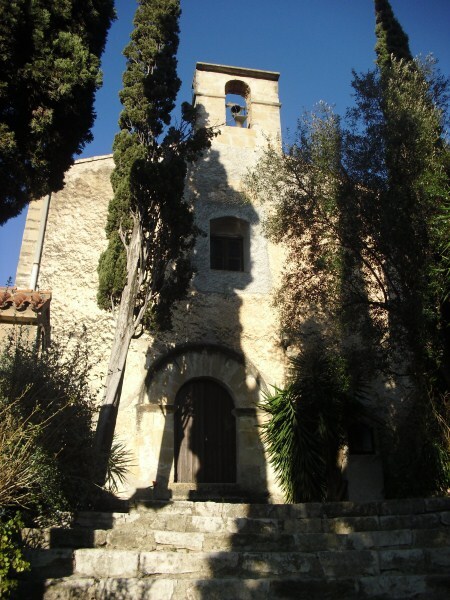 The end result of the careful restoration of this beautiful 12th century building, will be the ability to open La Ermita to the towns folk and potential visitors, who will beable to fully appreciate this valuable building, at long last. This ´Community, altruistic opportunity´ plan for The Ermita, was designed to give professional restorers and their apprentices´ the ability to feel a real sense of achievement and reinforces their considered vocation/purpose in life. The Ermita project is on hold until the Town is ready. In this time of crisis and political change, we must be patient. We must not loose the integrity of this charming building that is not being appreciated as it was meant to be. 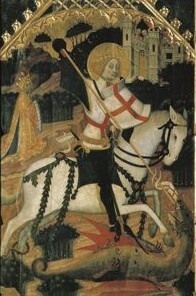 The restoration will take place in stages as permissions are granted. 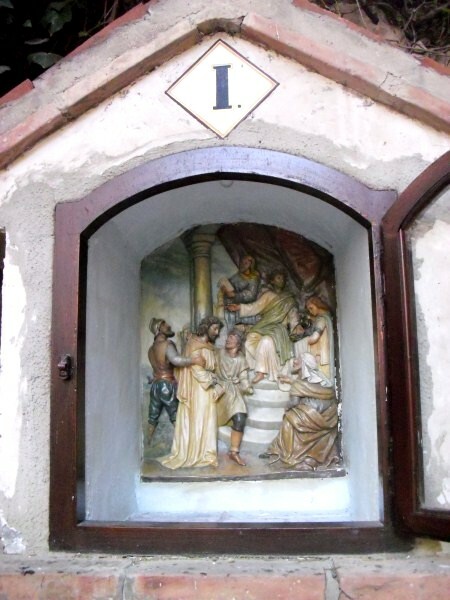 The restoration of 14 painted plaster sculptures inset wooden cases depicting the journey of Christ to the cross. 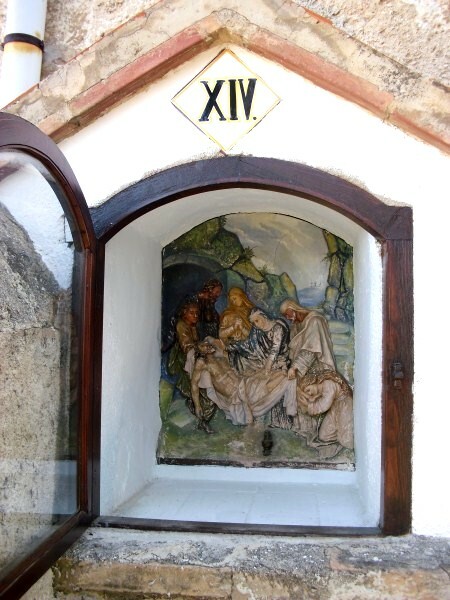 These are found on the 52 steps signifying the weeks of the year leading up to the main entrance of the Ermita, . 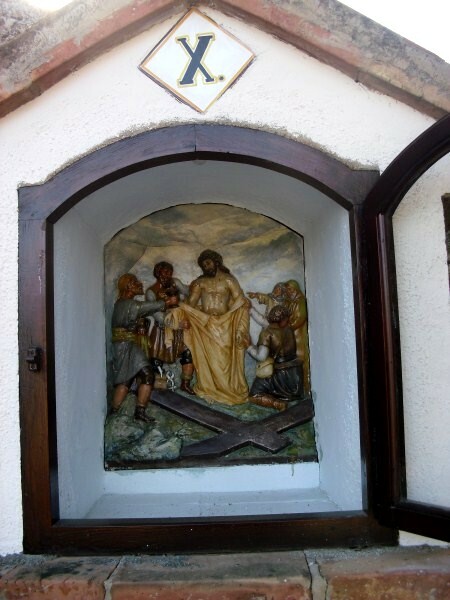 As with every ancient building that exists today there have been a number of modifications over the years by the ´religious landlords´, good and bad and this is evident in the Ermita. It is good to conserve the improvements that serve to illustrate the mode of the age. The evolution of a building is in itself an important part of it´s history. 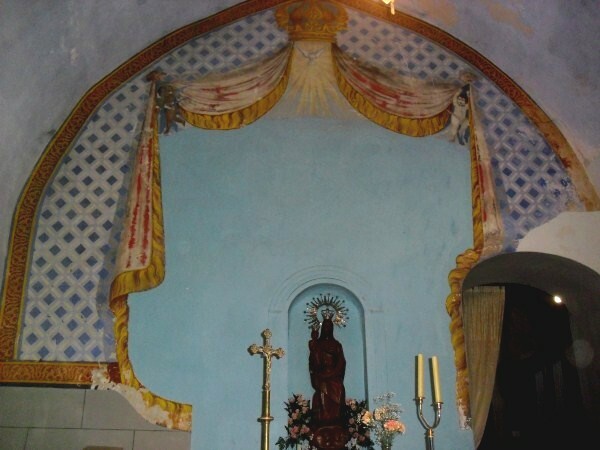 An example of this is shown by the ´trompe l´oeil that decorates the alter room wall. A highly coloured drape adorns a statue of the Madonna and Jesus. The drape looks authentic but is a cleverly painted 3 dimensional effect in 2 dimensions . Parts of the work still exist showing the 150- 200 year old patterns, executed in original paint made from the natural pigments. 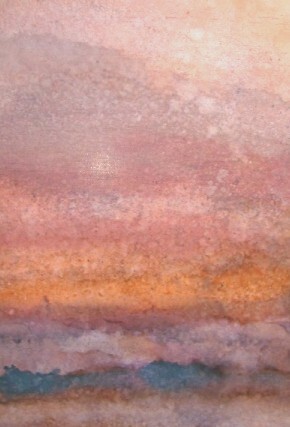 In recent years, the wall surface has deteriorated and the majority of the surface of the illustation has been over painted (badly), with inferior paints and in part, modern day emulsion). The wall needs to be made good and the drapes tassels and borders restored to their former glory.